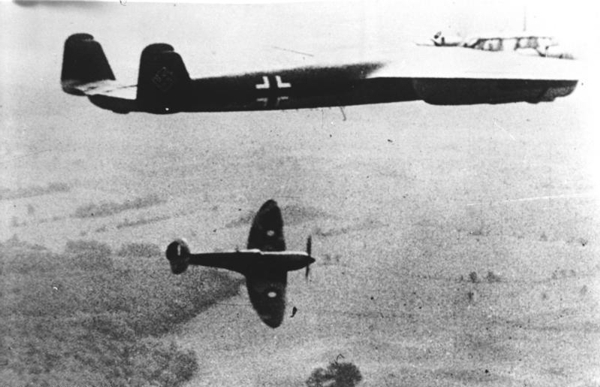 In July of 1940, the Luftwaffe launched a sustained strategic effort to gain air supremacy over Britain's Royal Air Force. The Luftwaffe targeted London and Britain's centres of heavy industry, many of which were clustered along the River Clyde. On 19 July, bombs dropped on Glasgow in broad daylight. The most devastating raid began on the night of 13 March 1941, when two hundred and fifty German bombers gathered over Clydeside. Warning sirens began to wail as the first incendiary bombs dropped. Fires stretched across the entire city as civilians clustered in the air raid shelters the government had encouraged them to build in their gardens. 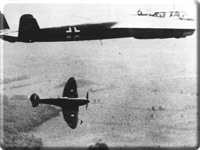 The Luftwaffe returned the following night to inflict even more serious damage. In the aftermath of the campaign, over 1,200 bodies were dug from the rubble and half of Clydebank's population had become homeless. The housing district was hit the hardest: only eight of its twelve thousand houses escaped damage. But the war effort continued. Men climbed through the wreckage to work in the shipyard the next morning. Within a fortnight, the Clydeside industries were in operation. The last bombs fell over Glasgow in March 1943. By then, the Allies were pushing through Tunisia and the tide of the war had turned. As Britain recovered from the devastation of war, Scotland's mood was changing. Nationalism resurged. Now that peace was returned, the people were free to react against the enormous increase of centralized state power that had accumulated during the war. After surviving the bloodshed, devastation, and hardship of another total war, the Scots longed for a return to normalcy. Westminster was taking too long to respond. Any cause for a victory celebration was quelled in the gloom and austerity of post-war recession. With the end of the war came the end of the British Empire. Colonies all across the world sought and won independence, dismantling the empire one nation state at a time. And the idea of nationhood again rose in Scotland. Scotland's socialist leaders had abhorred at first any thought of separation as Clement Attlee's Labour government worked to build Britain into a social democratic welfare state. But overseas competition, industrial disputes, and inefficient industry fuelled the decline of Scotland's economy. After the markets for heavy industry began to disappear, the country as a whole slid into a severe recession from which it wouldn't begin to recover until the 1970s. 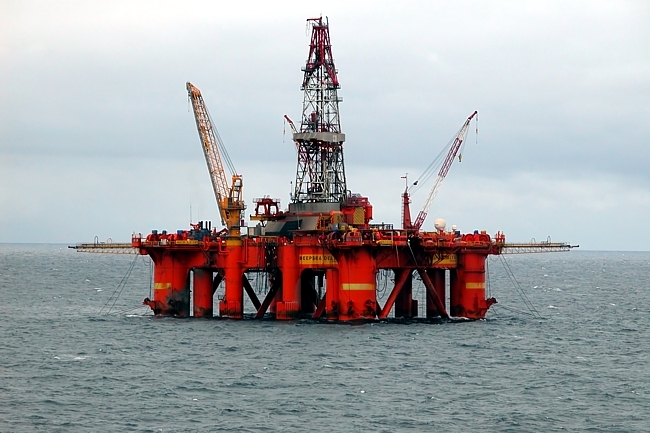 The country began to recover as the government invested in building up a vibrant and diverse social infrastructure, but the discovery of oil in Scotland's North Sea really brought both economic and political tensions to the fore. 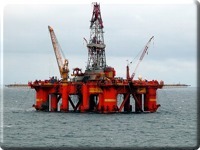 The Scottish National Party argued that the revenue created by this discovery could not provide Scotland with any significant benefit while it remained part of the United Kingdom. Prospects of a financially viable yet independent Scottish state helped the SNP to win thirty percent of the Scottish popular vote and eleven seats in the House of Commons in the 1974 general election. Despite the failure of the 1979 referendum on the establishment of a devolved Scottish Assembly to capture the support of forty percent of the electorate, nationalists continued to pursue autonomy. Calls for a Scottish Assembly grew during the 1980s and '90s as the Conservative Party took control of Parliament. 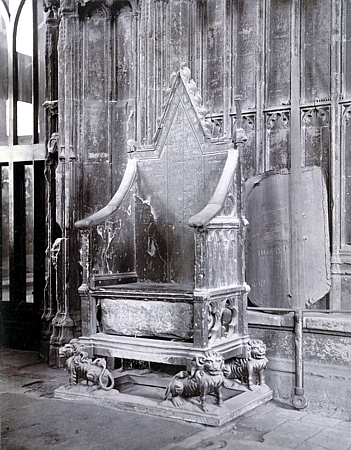 As the Labour Party campaigned on a policy of devolution for the 1996 elections, the Conservative government responded to Scotland's growing discontent by returning the Stone of Destiny, which had remained in Westminster Abbey since Edward I of England stole it in the thirteenth century, to its rightful home. 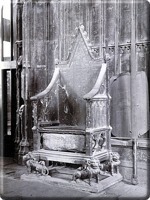 The Stone is today displayed in Edinburgh Castle, and is only transported to Westminster for coronation ceremonies. On the seven hundredth anniversary of the Battle of Stirling Bridge (11 September 1997), the Labour government of Tony Blair held another referendum on the issue of devolution. The Scottish Nationalist Party took advantage of Braveheart's success by setting up tables outside of movie theatres, summoning William Wallace as the hero for their cause. Scotland's most famous Hollywood actor, Sean Connery, made large financial contributions to the SNP, passionately invoking the Declaration of Arbroath in campaign speeches: "It is not for glory, riches or honors we fight, but only for liberty, which no good man loses but with his life." The electorate responded favourably. Elections for the Scottish Parliament in Edinburgh were held on 6 May 1999. Through its entire history, Scotland had always fought for measures of freedom. Once again, freedom had been won.